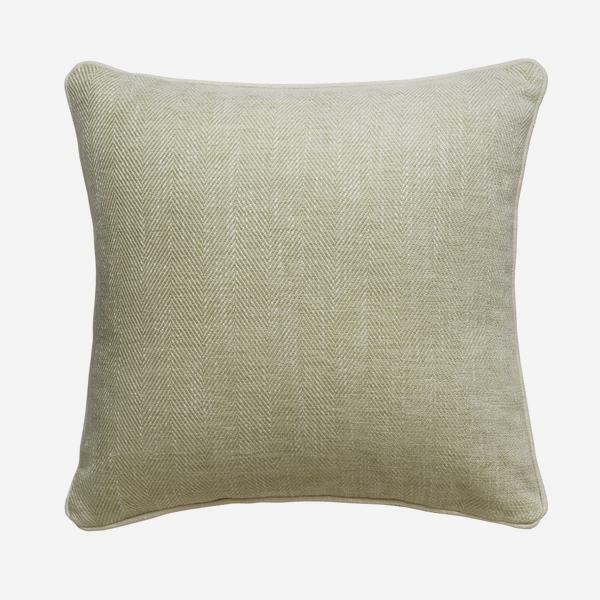 An exceptionally soft chenille cushion with a two-tone herringbone in light fennel green and white with chalk piping. 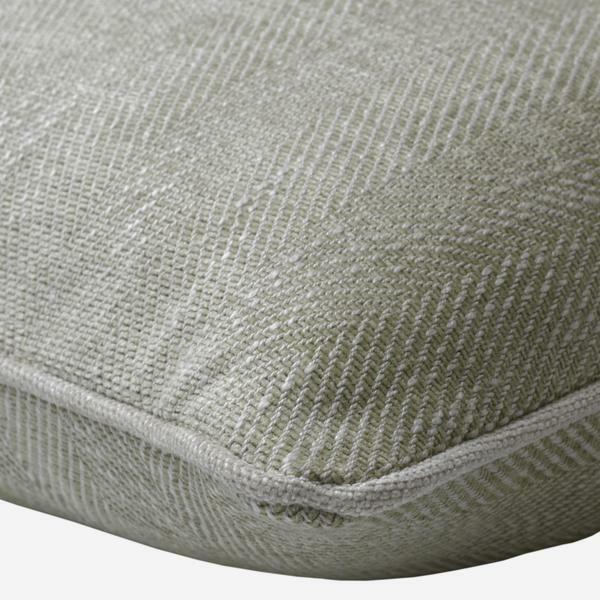 Summit cushion mixes a classic, sophisticated design with a casual and slubby weave, recreating the natural charm of Portofino as well as its illustrious following. Cushion pad included.